From a sun-filled engagement session to a wedding overlooking the ocean in Big Sur, California, this week has been full of flawless wedding inspiration. In addition to the prettiness we featured here on the blog, we're finally experiencing fall weather in my little corner of the world and THAT makes me so happy! Autumn is my favorite season of all and I'm so ecstatic that the crisp, cold weather is finally here. Time to pull out those winter coats and head to Disneyland! 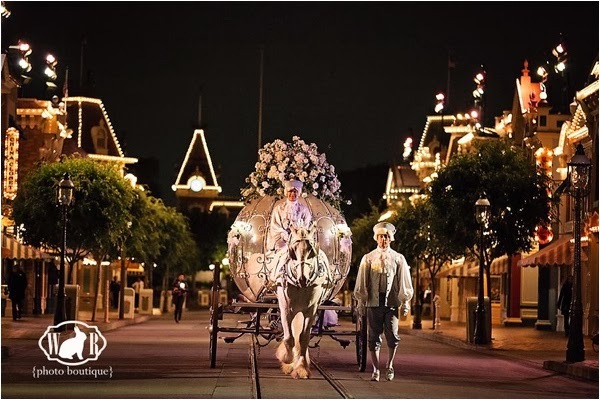 Speaking of Disneyland, check out the photo below that one of our beloved sponsors, White Rabbit Photo Boutique, took of Disney wedding! Imagine being in a stunning horse-drawn carriage, on Main Street in Disneyland! Amazing! 15GB of storage space + 5GB more for completed referrals? Sign me up! I've been listening to this song on repeat this week. And last week. Obsessed? Maybe. Do you have a great piece of marriage advice that you can give to newly married couples? If so, fill out THIS FORM.